New. Trade paperback (US). Glued binding. 298 p. Contains: Illustrations, black & white, Line drawings, black & white, Diagrams. Haynes Techbook. New. 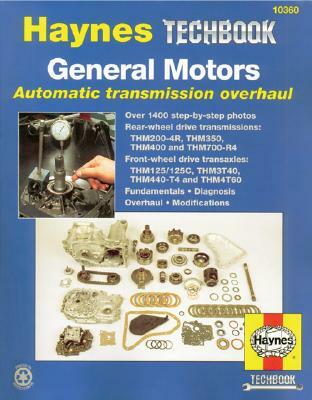 Series: Haynes Automotive Repair Manuals. Num Pages: 304 pages, illustrations. BIC Classification: TRC; WGC. Category: (G) General (US: Trade). Dimension: 271 x 212 x 16. Weight in Grams: 446. 2002. 2nd Revised edition. Paperback.....We ship daily from our Bookshop. Very Good in None as issued jacket. Solid copy with unmarked text. Cover has mild wear and some light surface scratches on back. Binding is tight and square; no creases to spine or cover. Books, box sets, and items other than standard jewel case CDs and DVDs that sell for $8 or more ship bubble wrapped and boxed; under $8 in a bubble mailer. Expedited and international orders may ship in a flat rate envelope rather than a box due to cost constraints. All US-addressed items ship with complimentary delivery confirmation.